Pythium is the unseen enemy of the root zone of cannabis plants both indoors and outdoors. Don't allow this nasty fungus to turn the roots of your precious marijuana plants into brown foul smelling sludge. Root rot will plague your ganja no more after reading this guide. WHAT IS PYTHIUM, AKA ROOT ROT? Pythium is commonly referred to as “root rot” by most cannabis cultivators. 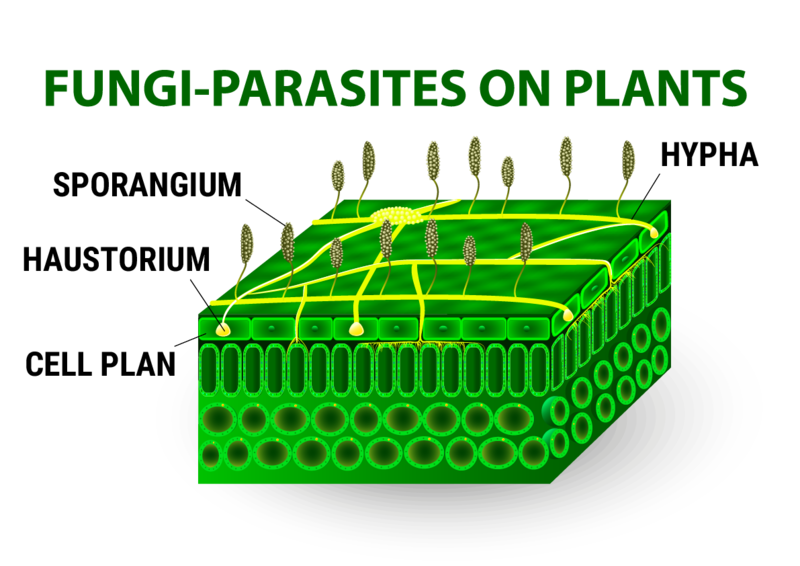 This stealthy pathogen is a fungus with a nasty habit of wreaking havoc on root zones in hydroponic systems and any other damp medium it manages to infest. 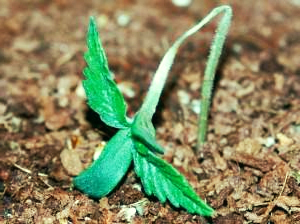 Seeds and seedlings are especially vulnerable to the plague of Pythium and cannabis plants at any stage of their lifecycle can be attacked by Pythium should the grow environment be allowed to become habitable by fungus. The scary truth about root rot is that it is 100% preventable. Pythium is best avoided altogether but should it happen to strike your root zone it can be treated and often cured. However, simple preventative measures are advisable rather than finding yourself playing botanist come alchemist at 3 am mixing potions of home brewed fungicide to exterminate microbial nasties. As a root zone parasite, Pythium can often go undetected by the cannabis grower until it’s spread throughout the garden and planning on staying. By this time Pythium has already been damaging the plant’s roots for quite a while before the above ground symptoms of unhealthy plants grabs visual attention and raises the alarm. Detecting Pythium in the weed garden can be a real head-scratcher. Outdoor growers and indoor out of the bag soil cultivators are not immune to the blight of root fungus either. In fact, Pythium is even more difficult to readily identify in non-hydro grow ops. 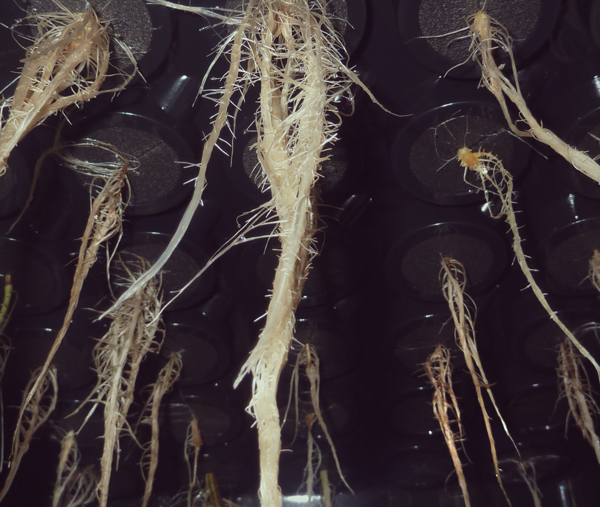 If you happen to be a hydroponics grower then you must be especially wary of Pythium, but you have the huge advantage over all other growers of being able to eye-ball inspect the root zone, well in most active hydro set-ups anyway. Passive hydro systems like “Hempy Buckets” and most organic grows in soil/coco obviously don’t allow for this. Brown discolouration and a gungy mass growing in and around the roots is indicative of a text book case of root rot, and the Pythium fungus is responsible for the root zone horror show 9 times out of 10. Unfortunatevictimised hydro growers that witness this mess will never forget it and never ever want to see it again. As well as looking disgusting, Pythium also has a foul smelling odour similar to mildew. What adds to the confusion with diagnosis of root rot is the above ground symptoms displayed by infected cannabis plants often mirrors numerous other common problems from over fertilisation to light burn and everything in between. Leaves can curl, sometimes they drop and sag, all kinds of discolorations from near white to mottled brown spots and every shade of yellow can drive a ganja farmer round the bend with misdiagnosis. Getting your precious little beans off to the perfect start is the first step towards that final lush cannabis harvest. Germination really is an all or nothing affair so we recommend our Royal Queen Seeds Starter Kit, it’s got everything you need to get your grow on including a propagator, rooting medium and of course a choice high quality feminised seeds. During vegetative growth, especially when it’s time to transplant, regardless of the cultivation medium cannabis plants are at risk of shock and/or stress if the grower is not diligent. Getting your grow optimally balanced - from nutrients to environmental control, in so far as possible - is the best way to prevent fungus attack. Pythium loves an overwatered cannabis plant, and if the roots are sitting in a pool of run-off water all the better for this micro-predator root destroyer. Feed your cannabis crop only when it needs to be fed, dialling in an effective wet-dry cycle is crucial. Hydroponics growers must ensure the water in the reservoir is highly oxygenated, not only to ensure optimal nutrient uptake but also because Pythium perishes in a well aerated medium. Aeroponics cultivators are probably grinning and well they should! Hydro growers would be wise to invest in a quality air pump to keep that water bubbly and at room temp, as Pythium prefers a lukewarm low oxygen bath to spore in. Ideally, a misty air gap between roots and the reservoir should be the objective to keep the root zone thriving and Pythium free. Air-pots are designed to facilitate air pruning of roots, plus they work great in both old school hand watered dirt grows and fancy automated hydroponics systems alike. They cost a little more than standard plastic pots but they are also less susceptible to Pythium invasion. Healthy root zone development can also be encouraged by supplementing your feeding regime with beneficial bacteria and fungi. These days the 21st-century cannabis cultivator is spoiled for choice when it comes to friendly fungi additives. Some can be costly but even a modest investment in some budget priced Mycorrhiza and/or liquid enzymes will pay dividends come harvest time. We’ve got good news and bad news when it comes to effectively purging your cannabis garden of Pythium. The good news is Pythium can be treated and eradicated, the bad news is it’s going to cost and it’s always a high a price to pay to defeat an embedded enemy. Specialist root rot treatment products are available, but virtually all of the effective one’s are definitely in the premium price category. Moreover, and to be perfectly honest, they really only are effective on early diagnosed indoor plants still in vegetative growth. The nuclear option to guarantee fungi elimination is to scrap the whole grow and thoroughly clean the grow environment and start afresh with new medium and hygienic practices. If Pythium is ravaging seedlings it’s probably best to push the button and clean up your act for the next crop. Battling a Pythium plague is a war of attrition and even if you eventually prevail the damage caused by Pythium is permanent so the grow will invariably be delayed to allow time for the cannabis plants to regain their vitality and marijuana yields are certain to be impacted negatively. As usual when it comes to pests and diseases prevention is always the best medicine and Pythium is no exception.